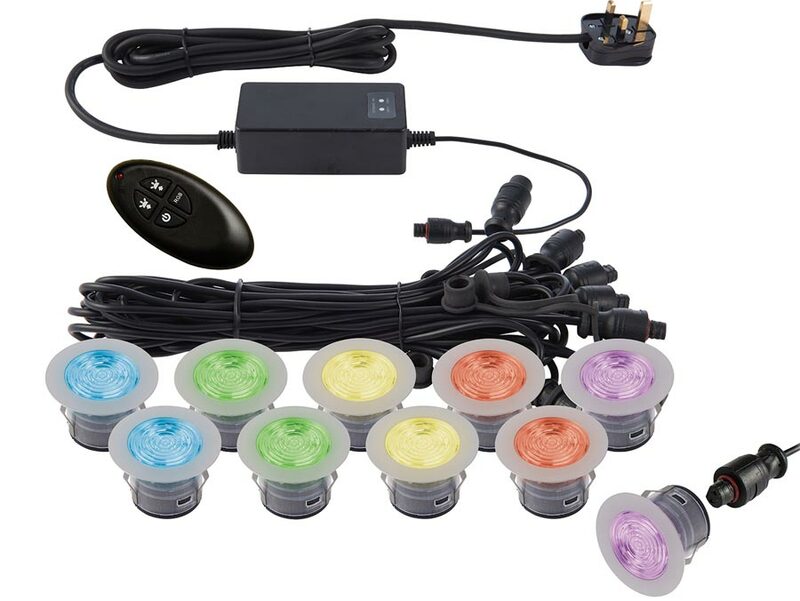 The Ikon Pro 10 light 45mm remote RGB LED decking light kit is rated IP67 and features a unique design of removable and interchangeable heads. The new Fresnel lenses improve lumen output, diffusing the spread of light evenly. Supplied with a remote control that allows remote operation of the yellow-white-red-green-blue-purple-light blue LED phases.